For the past several years, Gov. Scott Walker has floated the idea of shifting Wisconsin to a self-insurance model for health coverage for state and local employees – and the issue is now coming to a head. 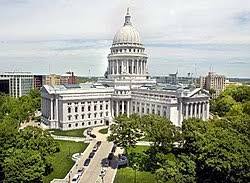 Next month (July), the WI Group Insurance Board (at the Department of Employee Trust Funds) will issue a request for proposal for companies interested in providing a self-insurance model for the state. Currently, all state and local government employees and their dependents are covered by 17 different HMOs. Under self-insurance, the state would pay benefits directly and assume all of the risk. Bids on the RFP to help run the system will be due in September, and it’s anticipated the Group Insurance Board will decide in November whether to move forward with a state self-insurance model in 2018. Walker has expressed interest in pursuing the state-insurance model if it saves taxpayer dollars, but two studies on the issue have produced conflicting results on what self-insurance would mean to the state’s bottom line. While a report from Segal Consulting estimated the state could save over $42 million annually, a Deloitte study concluded self-insurance could cost the state up to $100 million a year. Even if the Group Insurance Board takes action to pursue a self-insurance model, the Legislature’s powerful Joint Finance Committee would ultimately have to review and approve the proposal.